Top Rated Pre Calculus Tutors in New York City! Welcome to New York’s top-rated private pre calculus in-home tutoring service! 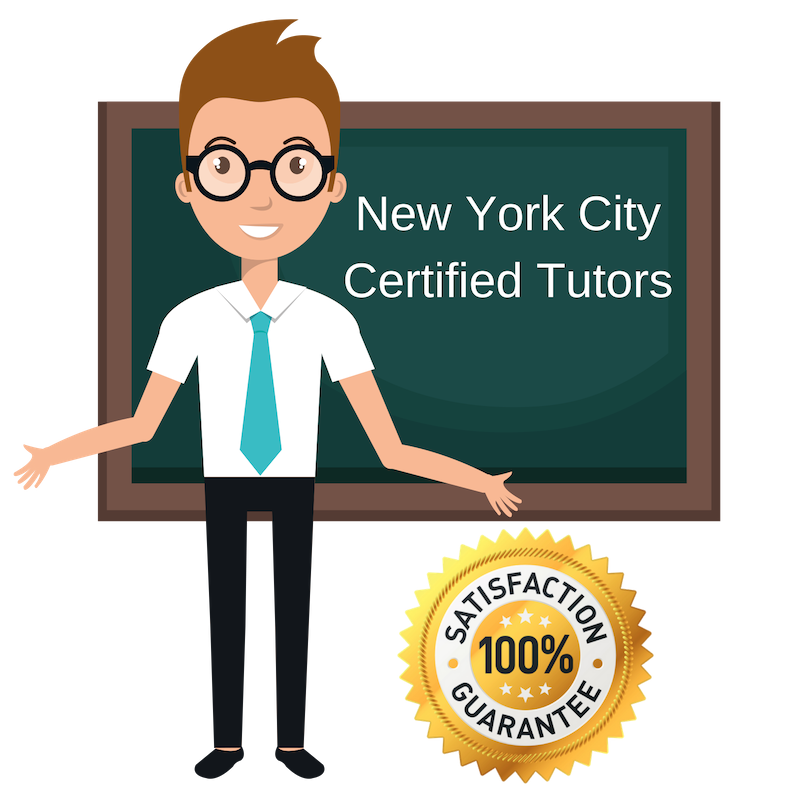 All of the following New York pre calculus tutors are certified by Varsity Tutors, the leading tutoring agency in the country! All New York pre calculus tutors have been background checked, been interviewed, had mock pre calculus tutoring sessions, and been trained by professionals. We guarantee you will love your local New York pre calculus tutor or your money back! Get information regarding a top-rated pre calculus tutor today! I’m a graduate from the London School of Economics and the University of Pennsylvania currently tutoring in the New York City area. I am a tutor with a cooperative style and believe in working closely with my students to identify their strengths and weaknesses and build on their most suitable study skills in order to improve even beyond their areas of study. Previously, I have worked as a private tutor for people of ages 5-15 in math, writing, reading and history, and also have experience tutoring and mentoring at the college level. Right now, I am available as a tutor for pre-calculus and other subjects in mathematics. In addition to tutoring, I like to be involved in child advocacy and public education and have worked with the City of Philadelphia Department of Human Services promoting students’ needs in the past. When I am not working, I enjoy dance, running, and travel. I am a pre-calculus and mathematics tutor located in New York City, NY with a passion for science and technology. I have just recently completed a contract job working at Google X’s Waymo, for self-driving cars, where I spent some time applying concepts from my coursework in physics. I received my bachelor’s degree in physics from California Polytechnic State University – San Luis Obispo, where I also studied theater. I believe my experience studying both the sciences and the arts make me uniquely poised to assist students in approaching difficult concepts and subjects from many different angles. I look forward to working with new students and introducing them to the exciting world of science and mathematics from a new perspective. I am a private tutor offering assistance with pre-calculus, geometry, and other subjects in mathematics in New York City, NY. I studied mathematics as well as English at Bowdoin College in Maine before completing my doctorate in cultural studies. At Bowdoin, I gained much experience as a tutor and mentor initially while working in the Writing Project group there as a writing assistant available for fellow students for a span of four semesters. In addition to working with college student populations, I have experience working with younger groups after teaching third- and fourth-grade math for several semesters. I also having experience working abroad as I spent one summer working as a teacher in Kathmandu. I find tutoring and mentoring work especially rewarding and enjoy sharing my natural interest in mathematics, reading, and writing with my students! I am a passionate tutor and mentor with a lifetime of exposure to education and learning. Having grown up in a family of educators and involved with the New York Department of Educaiton, I have learned a lot about what it means to be an impactful teacher and guide. Today, I am available as a private tutor for a variety of subjects here in New York City, NY, including but not limited to pre-calculus, geometry, and English. I have several years of tutoring experience including volunteering at The Boys and Girls Center in Quito, Ecuador as a teacher for art and English, working as a writing tutor at Franklin Marshall College’s writing center, serving as a prep teacher for the TASC exam, and even working as a playwriting instructor at a number of arts schools and organizations. I love to work side-by-side with my students and help them improve their study skills in addition to clarifying concepts. My love for tutoring began when I was a pre-medical student at Brown University, where I worked as a peer tutor and college counselor between studying writing and biology. On top of college experiences, I spent time working as a teacher’s assistant in Portland, Oregon in the North Clackamas School District, which offered me the chance to work with students of different age groups. Today, I am available as a private tutor for pre-calculus, geometry, biology, and chemistry, as well as other areas like reworking college essays and applications or general development of study skills. I welcome students of all ages and backgrounds!